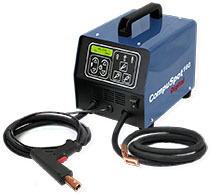 Inverter High Frequency 220V (50/60Hz) with variable output control. Maximum 40A output at 60% duty cycle. 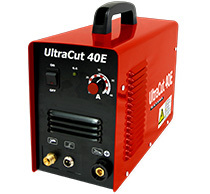 Learn more about the UltraCUT 40E. A powerful SYNERGIC machine designed for a wide variety of applications including MIG brazing of fully galvanized steel using silicone-bronze wire and MIG welding of steel and aluminum all in one package. 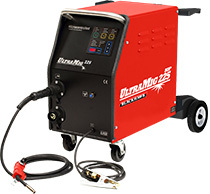 Learn more about the UltraMIG 225HP. 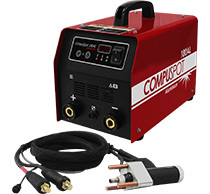 Designed to obtain optimum results in any welding applications. No compromise on performance quality. 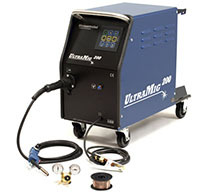 Learn more about the UltraMIG 200. 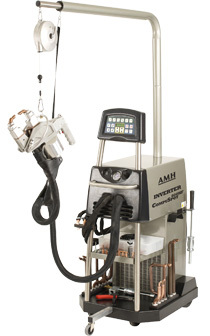 Advanced Inverter Spot Welder - The ideal answer for how to weld today’s high strength dual phase and boron steels with up to 630 daN (1,420lbf) of tip pressure, 14,000 amps of welding current, and NO GUESS WORK! Learn more about the CompuSpot 900 Fusion. 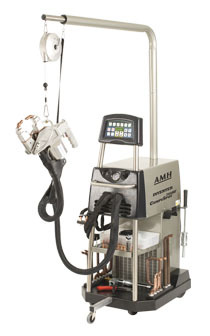 Advanced inverter spot welder - The ideal answer for how to weld today’s high strength dual phase and boron steels with up to 630 daN (1,386lbf) of tip pressure, and 14,000 amps of welding current. Learn more about the CompuSpot 850. Approved and recommended by: Mercedes-Benz, Mayback, Smart, Peugeot, Citroën, Renault, Ford, VAG D’leteren, GM, Porsche, Daimer Chrysler, Toyota, Honda. Learn more about the CompuSpot 800HF. This machine has been designed and built in cooperation with car manufacturers to meet the requirements for repairing UltraLight and Advanced High Strength Steels including Boron alloys. 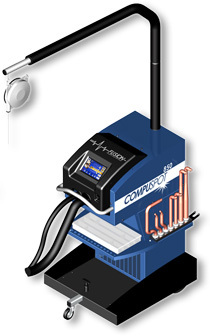 Learn more about the CompuSpot 750HF. Professional dent puller with keypad control of time and power, including welding mode and language selection. Learn more about the CompuSpot 700HF. 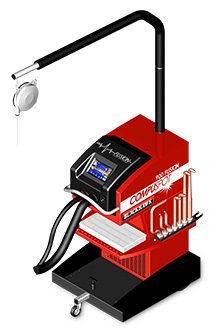 The CompuSpot 180AL Aluminum Dent Puller with high capacitive discharge system and total area grounding gives the body shop technician the best performance characteristics of any aluminum dent puller. Learn more about the CompuSpot 180AL. Learn more about the CompuSpot 160. Snap-on is a trademark, registered in the United States and other countries, of Snap-on Incorporated. Other marks are marks of their respective holders. © 2019 Snap-on Incorporated. All rights reserved. By accessing and using this website, you agree that you have read and are bound by the terms and conditions set forth in the Terms & Conditions of Use, including the arbitration provisions. This web site is best viewed in the most recent version of Internet Explorer, Firefox, or other compatible browsers.